﻿ Restaurant Furniture In Charming Places - What Did They Choose? Any restaurant owner would want its place to be attractive that visitors cannot easily forget. The restaurant furniture for the area is really important. 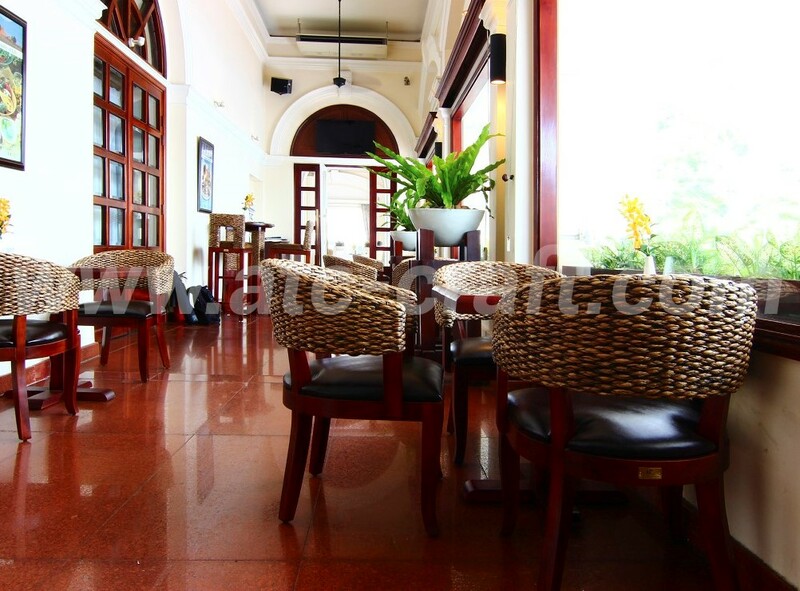 It portrays the style of the dining area as well as the building in general. It also provides seats for visitors to fully enjoy the meals at the eating places. Knowing the importance of restaurant furniture is necessary. Yet knowing how to choose the suitable one is more crucial. Nothing better than seeing the chairs and tables in real life, placed in actual restaurants. Together, let’s discover what’s behind these amazing dining places. Every day, the Continental Hotel Saigon welcomes lots of visitors from many countries in the world. Different from other local hotels, this place has its own way to shine. Neither using luxurious decorations nor sophisticated design, the hotel maintains a classic style. 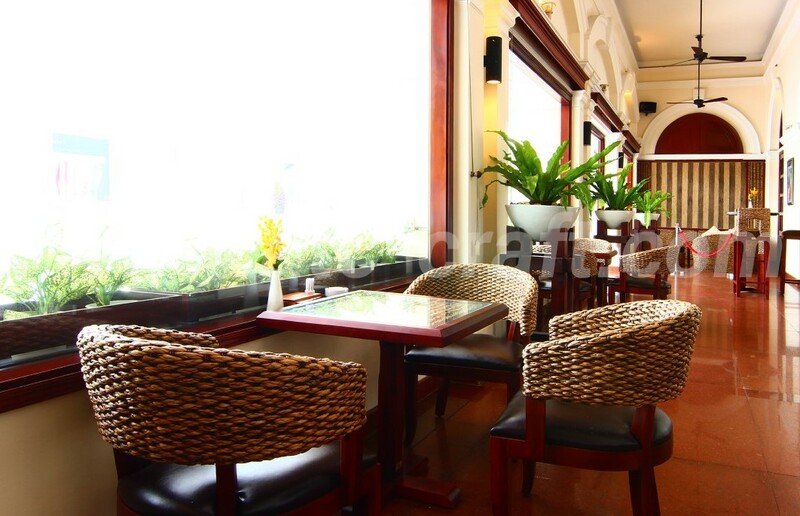 Specifically, the owners choose rustic water hyacinth restaurant furniture for its dining area. Reddish brown wood combines with natural wicker to create rustic tables, chairs and bar stools. These items blend in well with the style of the area. Reddish brown and white tone creates a traditional yet stylish and warming restaurant. Tip: Do not only use wooden tables and chairs. Make your restaurant space a focal point with a combination of different materials. For example, in a bistro set below, the light brown of water hyacinth is the highlight. 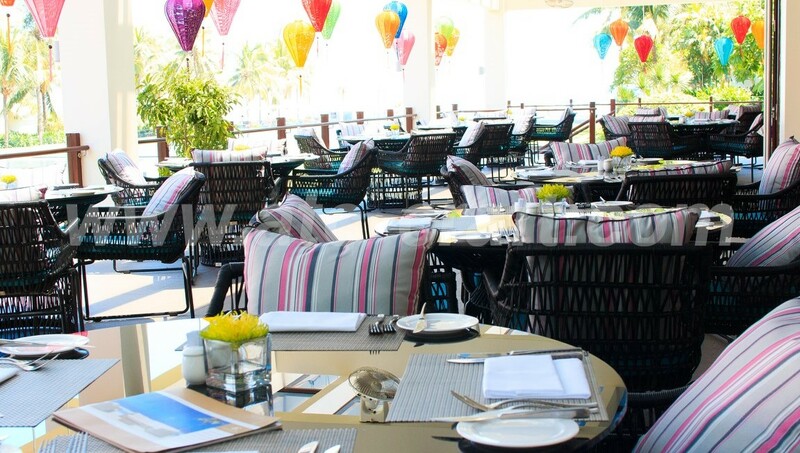 Many restaurants or dining areas nowadays are outdoor. 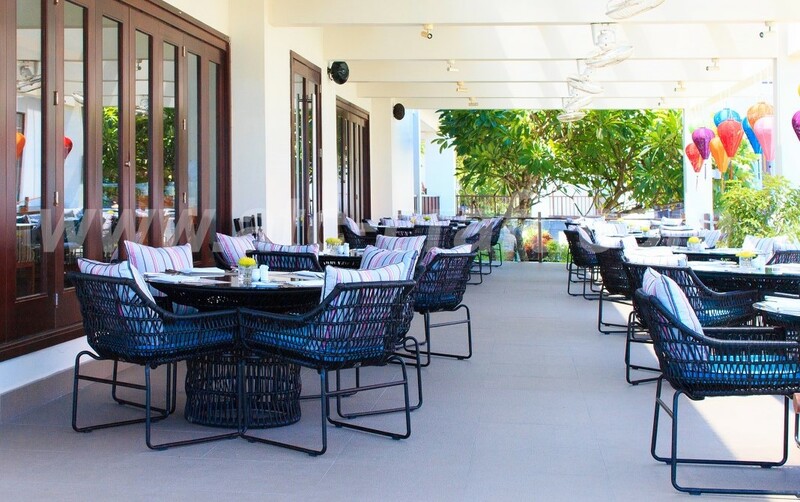 Pullman Danang Beach Resort has a modern exterior dining space. For areas in direct contact with such external environment, choosing the right restaurant furniture becomes even more important. The crucial thing here is the material. 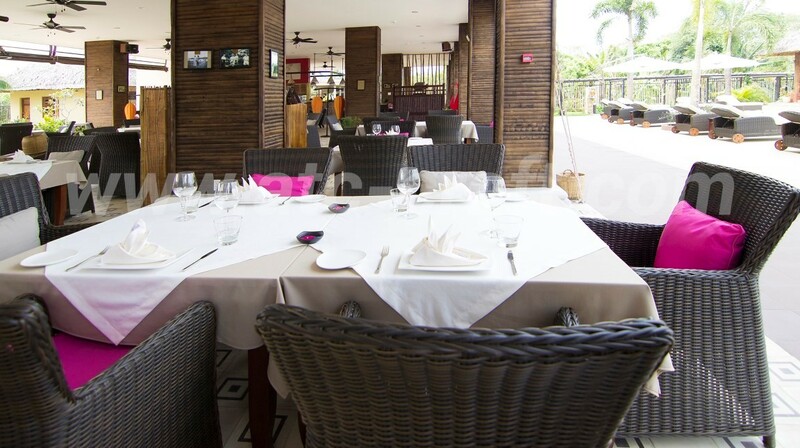 In order to be able to place outdoor, the restaurant furniture must have good durability, be water-resistant, and not fade in the sun. 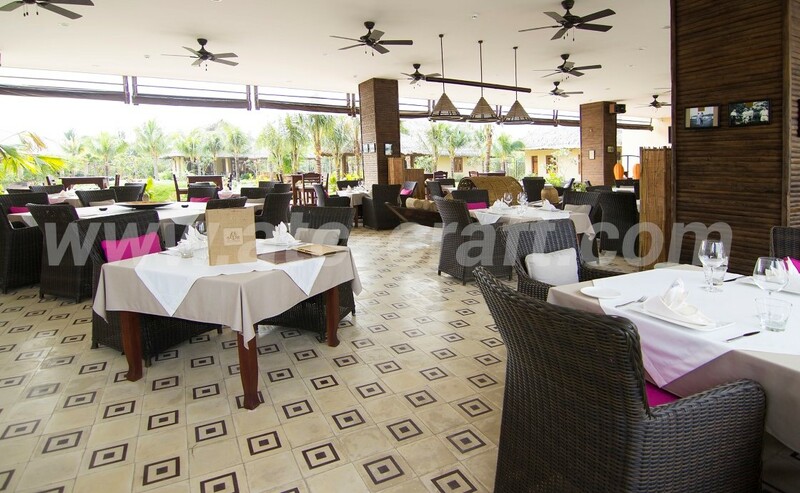 That is the reason why Pullman Danang Beach Resort chooses restaurant tables and chairs from ATC Furniture, a leading manufacturer and exporter of rattan furniture in Vietnam. 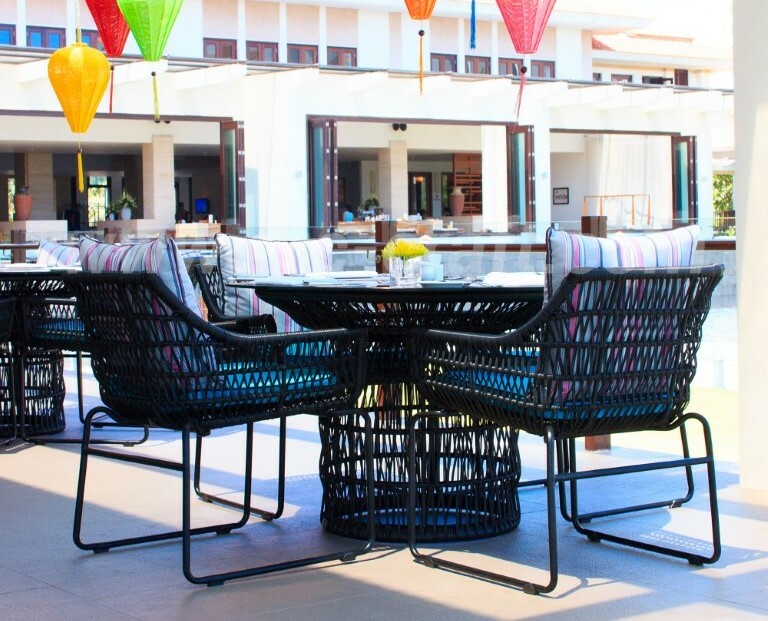 The factory makes products using high-quality plastic rattan and powder coated aluminum. These materials allow the furniture to withstand the rain and sunlight. Owners can arrange or store the movable cushions when needed. Tip: Use slim chairs with soft cushions and pillows. They take less space yet still being comfortable. While Continental has a dining space that looks like an old noble house, The Island Lodge provides a feeling of a countryside home. Some restaurants want to keep a simple style. The Island Lodge, for example, has a dining place like that. Many people love the traditional dining setting. It includes only rectangular or square tables and chairs. The decorations nearby refer to a rustic Vietnamese village with fake bamboo and wooden pillar. Although it’s simple and common-found, restaurant furniture in this area is still high-quality and durable over time. It’s all thanks to the materials: HDPE rattan wicker, powder coated aluminum frame, and water resistant fabric. Tip: How to use modern rattan chairs but still make the dining area formal? Add tablecloth and utensils on the dining table. There are many restaurant furniture suppliers that you can find on the internet. ATC Vietnam Wicker Furniture Manufacturer is one of those experienced furniture manufacturers. Many owners have trusted the company and get many items for their restaurants and dining areas. 3 amazing places above are just some of them. You can create a nice place yourself with the help of these good outdoor dining sets.